Everything you could want in a home or investment w/some of the highest end finishes in the entire community! 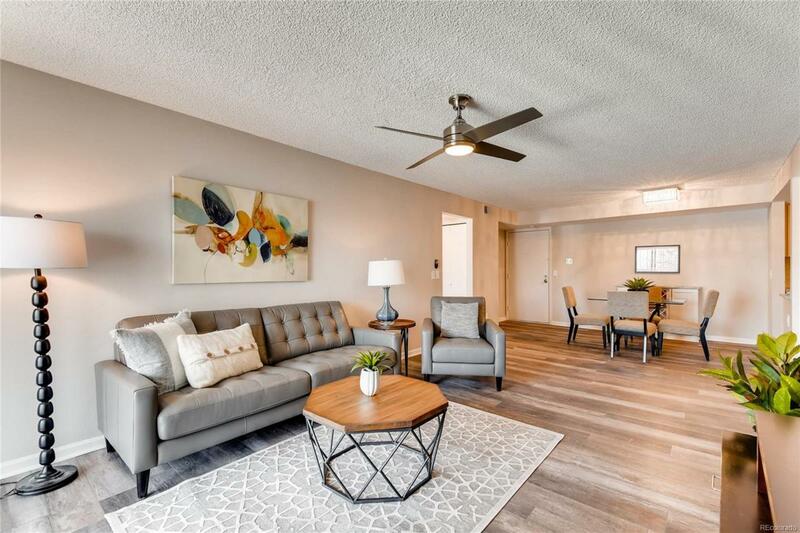 Walk into your wide open and bright main room with a cozy fireplace, custom wet bar, and shiny new kitchen featuring self-close cabinets, granite countertops, SS appliances, and a walk in pantry/laundry room. Entertain guests and grill out on your private patio with treks deck that overlooks the Highline Canal and the Rocky Mountains! Private master suite on one side w/access to deck, his/her closets, and custom tile designs in your bath. Private guest suite w/refinished bath. All high end finishes from the luxury vinyl flooring, fresh paint, updated electrical and custom finishes. Community has been meticulously maintained and includes a pool, workout facility, tennis courts, ect. Just minutes to the light rail and I-25. Your low-maintenance, high quality condo is ready for you to move in!